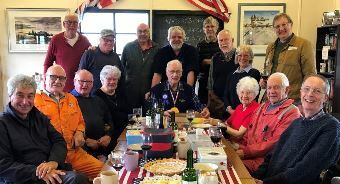 Last week, Brian Ward, a long standing volunteer at the museum, celebrated his 90th birthday. As it was such an important occasion, we all joined in to wish him well and hope that he will continue to meet up with us all whenever he felt like it. Sadly Helen is not in the photo as she took the picture! A framed photograph was also presented to Brian to remind him of some of the good times at the 493rd Museum. The new 2019 season starts at the end of April. To see what we have been doing..go to the museum page and click on the 480th MT workshop on the side panel. As you will see, we have been far from idle! 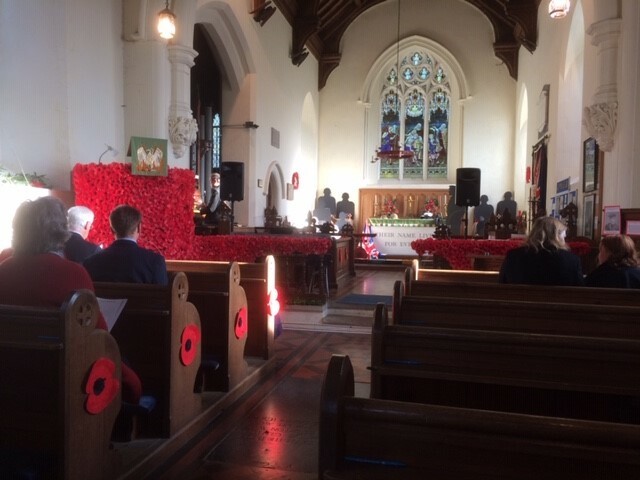 On the 11th November, 2018 at the 11th hour a special church service took place at St Mary's Church to commemorate 100 years since the end of the First World War. The church looked spectacular, dressed with 2,500 poppies and many displays with very touching stories of the people of the time. 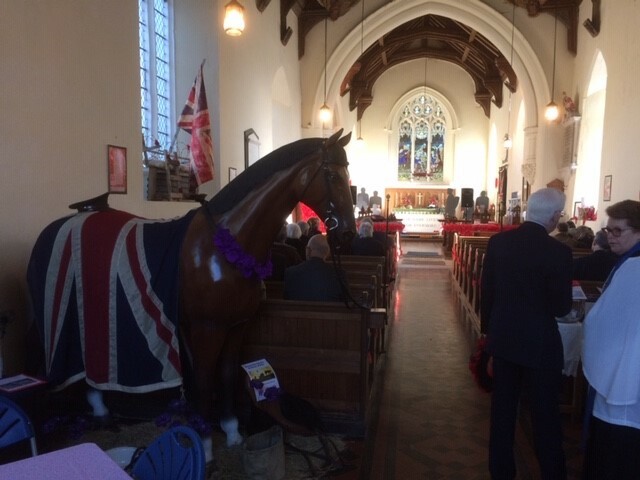 The service was very well attended and was followed by a sing-a-long of the wartime songs. After the service the 493rd wreaths were taken from the church and laid at the memorial of the 493rd Bomb Group. On Sunday the 12th November 2017, another Memorial Service was held at the headquarters of the 493rd Bomb Group site. We were blessed with bright, sunny day albeit freezing cold! Approximately, 74 people attended the service and then we all gathered together in the Visitor's centre at the Museum. Hot drinks were provided and as usual, Julie Yallop and her helpers provided some delicious food for all. Following our first 'classic car day' this year, we would like to make this an annual event. Please come and join us - entry is free. On Saturday 28th January we were very pleased to have a visit from Wesley Reynolds, the grandson of Capt. 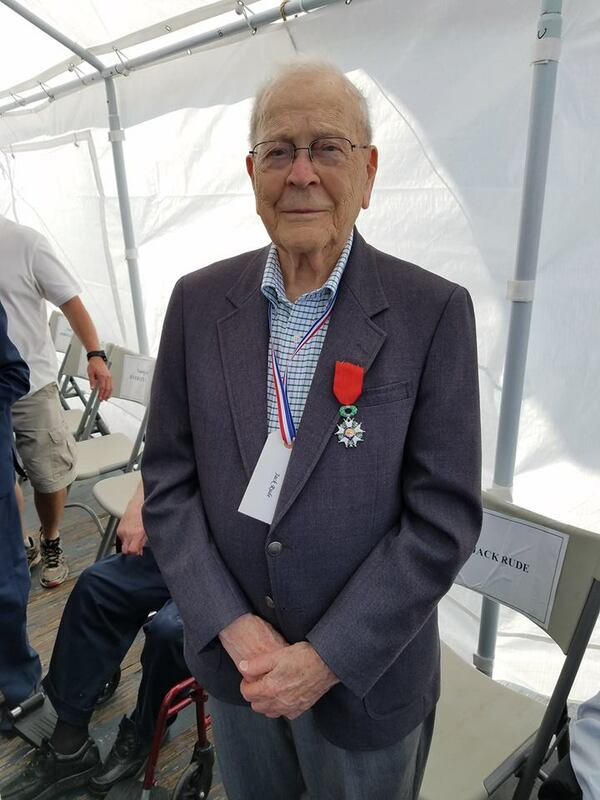 Earl W Reynolds, 861st BS pilot. Captain Reynolds flew on 7 combat Missions and at least 2 “Operation Chowhound” missions, dropping food to the Dutch at the end of WWII. 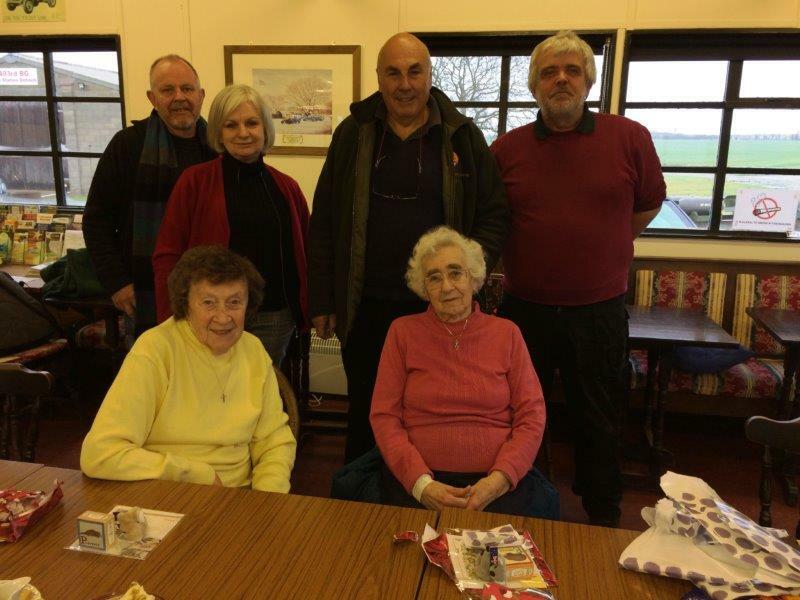 Debach enjoyed a very interesting visit on Sunday the 15th of January by Connie the Daughter of a German POW who spent 2 years at Debach after WW11 ended. Connie had emigrated to Australia with her Father who told her a mass of information about his incarceration initially at Fort Devens, Massachusetts in America before being shipped to England in 1946 ostensibly to be repatriated back to Germany, only to find when he got to England he was to stay there for two years as labour because the British were very short of this so soon after the war ended. Connie was particularly taken by our collection of toys and other artefacts made by POW’s often given as an appreciation of a kindness shown to them when they worked on Farms and in Forestry around the local area. After a tour of our Museum, Connie and John were taken to the accommodation area at the Debach camp where her father would have been housed. We were most grateful for her visit as we learnt much about this aspect of the war at our Airfield. At long last the Dodge Ambulance is out of the workshop and the restoration is complete. This has been a major overhaul and has taken nearly 3 years of daily slog! You must agree, it was worth it. 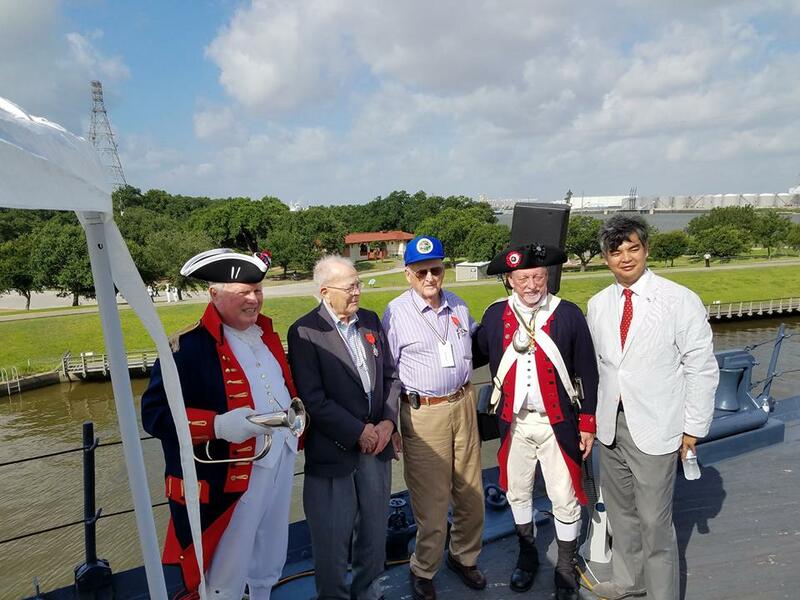 On July 4, 2016, on the Battleship Texas in La Porte Texas, the French Consul General Sujiro Seam presented World War II veterans Jack Rude and Jack Dodson with the French Legion of Honor for their service during World War II. Jack Rude was a tail gunner on B17 Flying Fortress bombers of the US Army Air Force's 8th Air Force. The weekend of 27th May, through 28th May and 29th May. Everyone thoroughly enjoyed this event. We were blessed with excellent weather on all three days. The Play was extremely well presented and Eastern Angles had a full house for all four performances. The Museum was bursting with visitors all weekend and a coach full of visitors came to us from the 490th and emailed a very flattering 'Thank You' to all concerned. See email on testimonial page. Another year has passed and another remembrance service has taken place. 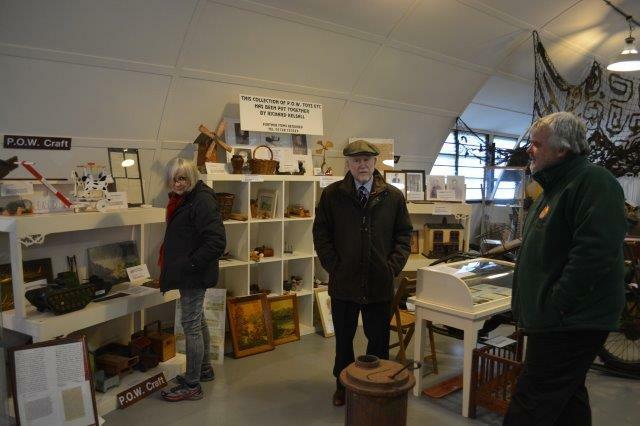 Again this year, 2016, the service was very well attended (over 50 people) and was followed by refreshments at the museum's Visitors Centre. Our thanks to all who took part and all who helped to put this event together. The museum is open on the last Sunday of the months April thru' September - 11.00 till 4.00. In addition to this, during the 'Open Season', we will be open on most Wednesdays from 11am till 3.00pm. Wednesday is a working day for the Volunteers at the museum but they will be pleased to take you round. Please ring or email before you set out to ensure you don't have a wasted journey. Entrance gate for Wednesdays will be off Drabbs Lane, Clopton at the Technical Site entrance only.